While off-plan was king in the Dubai real estate market in 2017, secondary market sales are likely to take centrestage next year, say market stakeholders. Buyers are unlikely to see too much of the sales incentives and attractive payment plans that were rolled out by extra-generous developers this year. “The main trend we will see in 2018 is that the secondary market will overtake the off-plan market in terms of deals done. With more handovers coming up of affordable housing, there will be a huge buzz and demand. What a lot of buyers will be waiting for is handover so they can secure 75 per cent finance and move forward with a purchase. Off-plan will still have a big part to play in the market, but after the acceleration in 2017 of this sector, we can expect some drop off in what is announced or launched, which is a natural way for the market to go,” says Lewis Allsopp, CEO, Allsopp & Allsopp. It will be hard to see the off-plan market perform to the same extent as it did in 2017. Developers will find it difficult to sustain the pace of launches, offers and incentives as this year. “There are some very exciting projects coming to the market. Prices have stabilised and now is the time for buyers to strike. We will see far more transactions happening in the secondary market than we did in 2017,” observes Myles Bush, CEO, PH Real Estate. According to the Property Monitor Supply Tracker, over 40,000 residential units are expected to be completed in Dubai in 2018. With so many units expected for completion in 2018, this may put pressure on rent and sales prices, in particular the secondary market. “There are just as many good opportunities now in the secondary market as there is off-plan. Developers very rarely lower their prices to fall in line with reduced market trends while the secondary market is more driven by sentiment and emotion. Because of this, I believe there are just as many ‘good deals’ to be had in the secondary market,” adds Bush. Affordability of property sales prices is likely to be a recurring trend in 2018. “The current momentum in sales activity is driven by a larger proportion of end-users than before, particularly first-time buyers, who are entering the market enthused by lower prices and encouraged by attractive payment plans offered by some developers. This trend is expected to continue,” says Manika Dhama, senior consultant, Cavendish Maxwell. Fence-sitters are advised to make up their minds on property investment in 2018 as several value-for-money deals abound. “As we approach 2020, the government will inject money into the market in order to finish Expo-related projects [the exhibition city and the infrastructure surrounding it]. This means a lot of companies will hire personnel and buy ready properties in order to create an asset for the shareholders. We will also see a lot of demand from expatriates who have been watching prices dropping to an all-time low and putting the down payment on their dream homes. It is going to be a ‘now or never’ phenomenon,” reckons Arash Jalili, CEO, Unique Properties. “Now is an excellent time to invest. It’s still a buyers’ market and buyers should only look at good value-for-money projects. However, if you are waiting for prices to drop further, you are likely to wait a very long time. In addition, if you are taking a two to 10-year vision, it’s far better to get on to the property ladder than spending money on rent,” informs Bush. 2018 could be the perfect time to get in to the property market ahead of any price increases in the run-up to the Expo. “Over the next few years, the population will increase above its current rate of approximately five per cent a year with all the jobs the Expo creates. With this will come an increase in demand and, therefore, it’s reasonable to expect some upturn in the market. One of my favourite sayings with regards to real estate is ‘don’t wait to buy real estate, buy real estate and wait’,” explains Allsopp. After a marginal decline in 2017, house rents are expected to fall further next year with more supply being added to the market. “Residential supply, particularly from previously delayed projects, will be handed over, mostly located within the E311 corridor which is expected to put further pressure on rents,” says Haider Tuaima, head of real estate research, ValuStrat. “In 2018, rents are going to drop further, which will result in a lot of movement in the rental market. This is very healthy for the economy because the working category of the Dubai population [almost 85 per cent] will be left with more money to spend. As more money is spent in other segments of the industry [such as restaurants and retail], more businesses will be opened and that, in turn, brings more working force to Dubai. We will see an increase in the rental market by the end of 2018 as low rents will attract a lot of people from other emirates who wish to escape traffic congestion,” points out Jalili. Meanwhile, tenants are also likely to benefit from being able to pay their rents with more cheques. During 2017, the number of cheques increased, with four cheques becoming the norm and in some areas six and even 12 cheques. “In December 2016, one cheques made up 40 per cent of all transactions and four cheques made up 25 per cent whereas till date in December 2017, one cheques made up 25 per cent of rental agreements and four cheques make up 48 per cent of agreements. In 2018, this trend is expected to continue, with the number of cheques increasing beyond four,” forecasts Dhama. 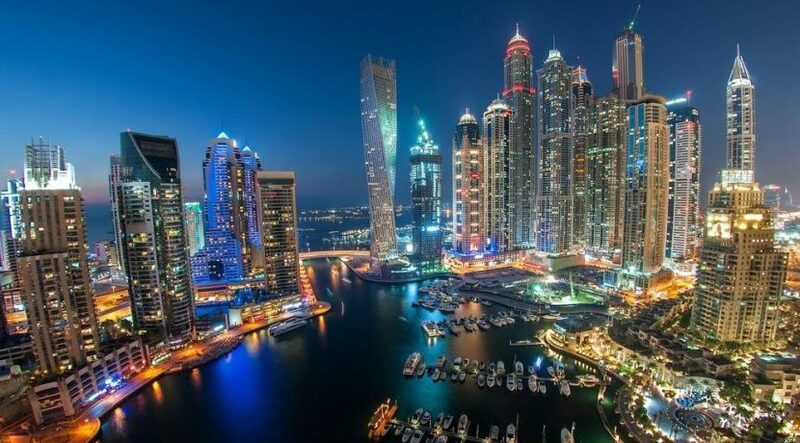 “The typical person or family that lives and works in Dubai are not millionaires and it’s good to see the housing market is adjusting to account for most of the population. This is exactly what is needed in Dubai,” adds Allsopp. The implementation of five per cent value added tax (VAT) is the biggest regulatory change on the anvil next year. “I don’t think this will have a significant impact on the real estate market. If anything, this should give increased confidence in the market as Dubai needs to charge some form of tax to progress and keep developing as a country and five per cent VAT is still way below what people would be paying in their home countries. In terms of real estate, the purchase price and the four per cent transfer fee are not applicable for VAT. So, while there will be extra expenses, it won’t have too much impact. The transfer fee increasing from two per cent to four per cent at the end of 2013 was a much more costly introduction,” Allsopp concludes.